Chad M. Estep. Northwestern graduate sentenced to three years after pleading guilty to aggravated battery. A Northwestern doctoral graduate was sentenced to three years in prison on Wednesday after pleading guilty to aggravated battery for pushing a man onto the CTA tracks, according to the Chicago Tribune. 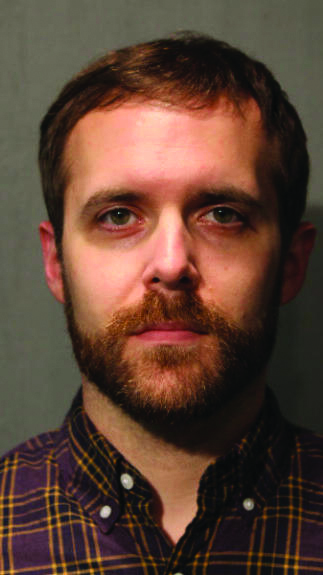 Chad M. Estep, 34, shoved Ben Benedict, 46, on the trains tracks at the Washington Station on August 1 of last year while he was waiting for a Blue Line train, pushing him off the platform and close to the electrified third rail, Chicago police told the Tribune. The two did not know each other. Surveillance video captured Estep against a pillar, then pushing Benedict onto the train platform. According to the Tribune, Estep then attempted to obstruct the victim from climbing back onto the platform and blocked bystanders trying to intervene. The victim managed to climb onto the platform before the train arrived. Police detectives arrested Estep with the help of someone he knows, Chicago police told the Tribune. Estep was then identified out of a line of prospects by Benedict, according to prosecutors. The more serious attempted murder charge was dropped, along with a second charge for aggravated battery and an unlawful restraint charge. The random attack had no known motive.